2T - $46.99 Only 1 left! "Um, the meaning of life for Elmo is respecting your elders by saying Mr. And Ms. and saying thank you and also giving lots of loves and kisses. That's the meaning of life for Elmo." What an admirable outlook on existence—and from Sesame Street's own Elmo! We all know manners make the world go around, and who doesn't love hugs and kisses? What an admirable parent you must be for reinforcing such respectful behavior and a heartfelt message with this warm, secure Toddler Furry Elmo Costume! Whether your little one wants to count with Count von Count, hang out with Big Bird and gang, peruse the secrets of The Furchester Hotel, or simply stand out among all the other tiny, fur-faced monsters, it's all possible in this one. Your boy will be tickled pink with curiosity at the world! 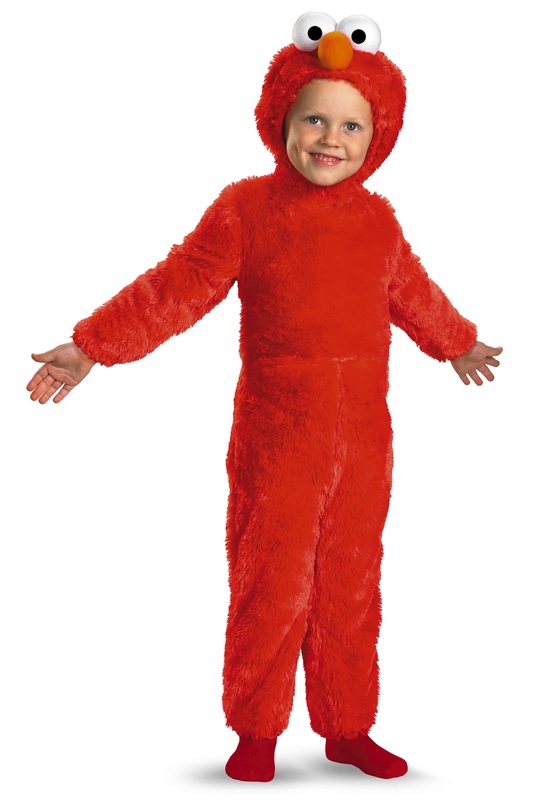 When he's ready to explore the world (or at least your neighborhood) with the confidence of his favorite furry red character, you can be confident his costume will keep him both warm and secure, as it features Velcro closures at the mid-back and under the chin, as well as microfiber faux fur from hood to feet. With this costume on and Elmo's meaning of life in mind—not to mention candy in your bags—we cannot imagine anything but a great Halloween night of trick-or-treating for the both of you.